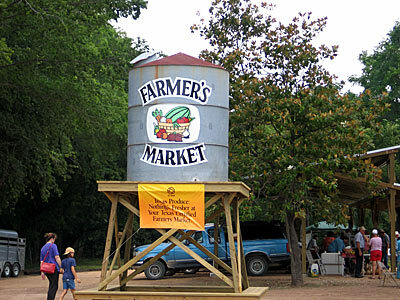 On May 28, 2004, the River Valley Farmer's Market moved into their new Bastrop location at 1308 Chestnut Street. 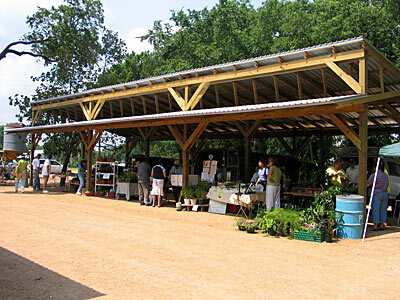 The City of Bastrop and the Bastrop Economic Development Corporation have built 2 pole barns to house the Farmer’s Market, right across the street from the previous location, under large shade trees. 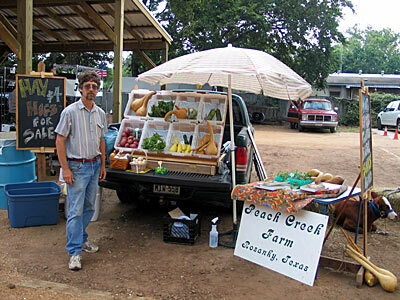 The River Valley Farmer's Market has been providing fresh vegetables and fruits for more than 15 years in the Bastrop County Area. 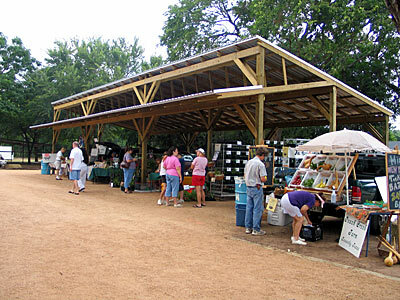 Their new hours for Bastrop are Fridays (1-6) and Saturdays (10-2). View photos of scenes at their new facility.